MOSCOW, March 26 / TASS /. 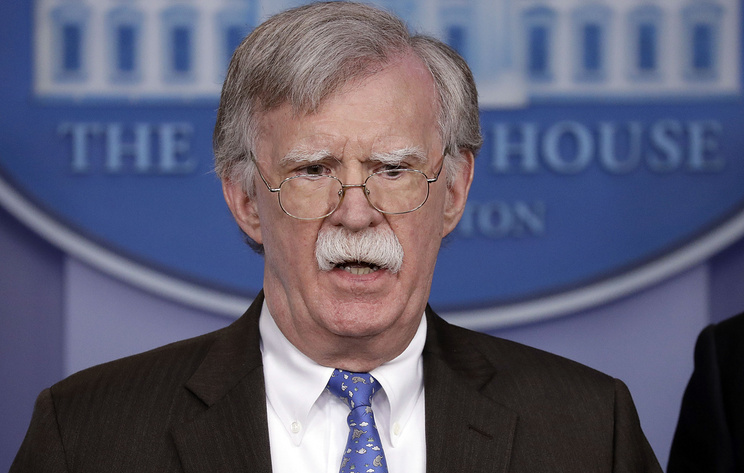 US National Security Adviser John Bolton urged Russia on Monday to join the global community to support the people of Venezuela. Bolton added that "the United States will not tolerate hostile foreign military powers meddling with the Western Hemisphere’s shared goals of democracy, security, and the rule of law." "The Venezuelan military must stand with the people of Venezuela," he emphasized. The El Comercio newspaper reported earlier that an Antonov An-124 and an Ilyushin Il-62 aircraft carrying Russian troops and 35 tonnes of cargoes arrived in the Venezuelan capital of Caracas on March 23. The Associated Press (AP) news agency said citing a Venezuelan official that two Russian aircraft "arrived in Caracas this weekend as part of ongoing military cooperation between the two allies." "Russian military officials are visiting to discuss equipment maintenance and training, and strategy," AP added.